The survival of the white continentâ? ?s most famous inhabitants is the subject of this beautiful book. 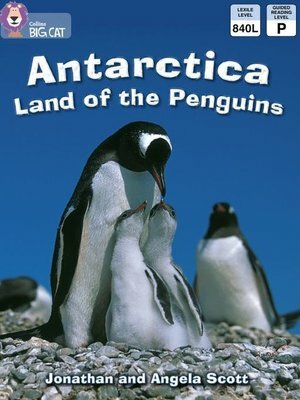 The beauty of Antarctic and the enchanting secrets of its penguin population is brought to life with a delightful series of photographs by the Big Cat Diaries team of Jonathan and Angela Scott. â?¢ White/Band 10 books have more complex sentences and figurative language. â?¢ Text type - A non-chronological report. â?¢ A poster on pages 30 and 31 advertises the highlights and attractions of the magical land of Antarctica, providing opportunities for speaking, listening and writing activities. â?¢ Curriculum links - Geography: Where in the world is Barnaby Bear? Passport to the World.